For those of us living in the northern hemisphere, the warmer weather is upon us and that means it’s time to enjoy a few barbecued meals. Whether you’re going to grill vegetable brochettes or beef steaks, here are some tips to help you prepare your favourite meals in an organized way. Before you get your first meal ready, it is important to check your barbecue and give it a good cleaning. If you have a propane barbecue, check all connections and hoses for leaks using soapy water. Replace any hoses that are cracked and/or leaking. Clean ports with a brush to remove debris. Remember, blocked portholes can cause fires. For charcoal barbecues, remove any charcoal, clean out all of the ashes and ensure the vents are clear. Grease is flammable so make sure you clean grease buildup from the cook box and grease tray regardless of the type of barbecue you have. Also, look for thin or rusted through spots in the cook box. That could be a sign that it is time to replace the barbecue. It is important to clean your grill at the start of the season and between uses. Choose a bristle-free brush for cleaning your grill. 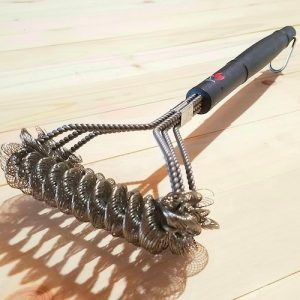 Experts recommend that people throw out their wire bristle brushes because of the danger of bristles coming loose, sticking to the grill, transferring to food and accidentally being eaten. Here are a couple of videos with detailed cleaning and maintenance tips for gas barbecues and charcoal barbecues. Many barbecues have a series of hooks attached to the frame where you can hang your grilling tools such as meat fork, basting brush and tongs. If you don’t have pre-installed hooks, you could add some magnetic ones to your barbecue or install a pegboard system on a wall that is close by. We live in an apartment block and we’re not permitted to have barbecues on our balconies. We have common barbecue area near the swimming pool. A utensil caddy with a handle is ideal for carrying cooking utensils back and forth to this barbecue area. Marinades and sauces are transported in a condiment basket. Thermometers are essential for ensuring food is thoroughly cooked (to kill any nasty bacteria) but not overcooked – no one likes to eat burnt foods. 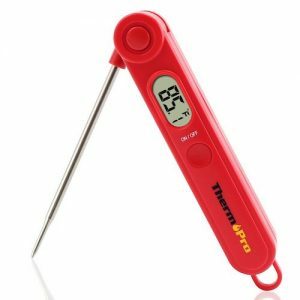 The ThermoPro TP03A Digital Food Cooking Thermometer is inexpensive and very easy to use. It provides a fast and accurate readout of the food’s temperature. My favourite thermometer is the iGrill Mini. It is magnetic so it easily sticks to the barbecue frame (or my stove). It connects via Bluetooth to my iPhone so that I can see the temperature of the food even if I’m not standing right next to the barbecue. Using the same plates and utensils for raw and cooked meats may transfer harmful bacteria to your cooked foods. Always wash your dishes in hot, soapy water after they have been in contact with raw foods. Check out these food safety tips for barbecuing. Are there things you do to make your grilling experience more organized and productive? Please feel free to share your tips with other readers. If you don’t have a closet near the front door to your home, a free-standing coat rack might be a good way to keep jackets, scarves, backpacks, and umbrellas from ending up on the back of every couch and chair in the adjacent room. Here are a few different options. The Frenchi Furniture Black Metal Coat Rack has 12 hooks at two different heights. This would be great for hanging purses or for younger people who can’t reach the top hooks. Although umbrellas could hang on the lower hooks, if wet, they would drip all over the floor. 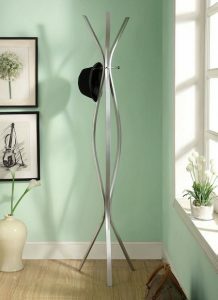 Monarch Specialties’ Contemporary Coat Rack in silver finish has a sleek look for modern designs. There are no lower hooks on this rack so it might not be a great option for a home with young children. The LCH Standing Coat Rack made from solid rubber wood has a more natural look. Hooks at multiple heights would be an easy reach for kids and ideal for hanging purses and umbrellas. Busy families may decide to use a garment rack instead of a coat rack. The HOMFA Fashion heavy-duty garment rack has space for coats, scarves, umbrellas, and the shelves provide a convenient place to store backpacks and shoes. Check out ten more inspirational coat rack designs over at Remodelista. This post was originally published May 2009. Recently I found an old iPod while cleaning out some drawers. It wouldn’t power on as the battery had long since died, so I connected it to my computer and was delighted to find that it worked. The next question was clear: what should I do with it? If you find one of these things lying around, or if you inherit one from someone else, the first thing to do is identify the model. Apple’s website helps you do just that. I’ve got a third-generation iPod nano, the so-called “fat nano.” This squat little guy can store 8 GB worth of music, photos, and video, plus a few extras like rudimentary games and notes. It acquires all of these things by syncing with iTunes on a computer. For playback it’s great, and the dash of nostalgia is fun too. Compared to contemporary devices, though, it’s a dinosaur. 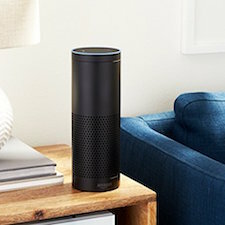 It can’t connect to the internet so streaming music on Spotify or Apple Music is a no-go. I can’t install apps either. So what is it good for? My solution is audiobooks. I love to listen to audiobooks while driving, but they take up a lot of storage space on my phone. This little iPod gives me 8 GB of dedicated audiobook storage (minus space that the OS uses). It will remember where I left off and happily sit in my car, ready to play back an audiobook as I drive. Of course there’s no Bluetooth connectivity, so I have to use a cable from the iPod to the care stereo, which is fine. If you find an iPod that you’d rather get rid of, either through donation, trade or sale, here are some options to consider. Apple has its own recycling program for electronics. You can participate at an Apple Store or online. Qualifying items can get you Apple Store credit, which is a nice bonus. Many big box stores have similar programs. You can always donate working devices to local schools, recreation departments, veterans, the Music and Memory Project, and so on. Perhaps you’ve got a friend or relative who’d love to have it. I even heard of two far-flung friends who would mail an old iPod back and forth, each filling it with with their own favorite music for the other to listen to for a while before returning the favor. And yes, you can sell an old iPod. Ebay is the obvious option, but outlets like Swap.com and Gazelle are also good choices. Finally, what about the cables and chargers? If you don’t have ones, Apple sells several adapters to get your iPod working with contemporary devices. If you find broken ones bring them to your local big box store for recycling. Of course, if you can find a way to use it, I say do it. Though limited compared to what we’ve got today, these older iPods are still a lot of fun. What makes you switch your ways? 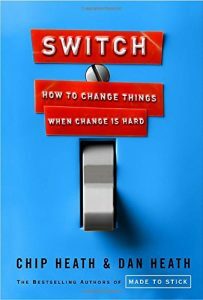 For a business course I’ve been taking on change management, I’ve recently read the book, Switch: How to Change Things When Change is Hard by Chip Heath and Dan Heath. It was published back in 2010 and Erin talks about it briefly in relation to a video interview with one of the authors. Although the book is seven years old, its content is 100% current and presented me with a whole new way of creating change — not just at work but also in my life in general. The Heath brothers tell us to forget about the reward-punishment dichotomy of the carrot-stick approach to change. It needs to make sense. It needs to resonate emotionally. And it needs to be clearly articulated and have easy-to-implement steps. They talk about these three points using the analogy of trying to ride an elephant. Logic (the Rider) can only go so far in directing the change. Emotion (the Elephant) is a much stronger element and can’t be forced to go where it doesn’t want to. And finally, if the path isn’t easy, neither the Rider nor the Elephant are going to want to make the change in direction. As I said, the book opened my eyes to a new way of managing and encouraging change, but as with all methods, you need to take into account your audience. In a work situation, I didn’t do that and had to twist and turn to avoid a staffing disaster. I’ve been trying to convince staff to adopt a new program, and was facing resistance. After reading Switch, I realized I was neither appealing to the Elephant nor making the path easy. So, armed with a hugely motivating presentation, I held a staff meeting where I was going to do a bang-up job of getting staff excited about the program before diving into the details of how we could all work together to make the transition easier and better for everyone. Unfortunately, one staff member hates emotional appeals — I mean, despises them! He sees red whenever anything “motivational” floats before his eyes. From the first slide in the presentation, he turned confrontational and spent the rest of the hour-long meeting arguing against something that logically he and I have agreed upon as necessary and practical. The next day, he and I spoke and we agreed that in the future, any time that I plan on motivating staff, he will be excused from the meeting and I will send him an email logically extolling the virtues of whatever change I am proposing to the rest of the staff. Although it was an intensely frustrating hour, I learned a great deal from the confrontation, the main point of which is that when you are discussing change with anyone, you need to know what will best appeal to them. If you want to change teenage behaviour at home, for example, neither logical nor emotional appeals will likely work very well. You need to make the change easier than not changing at all. No matter your approach, however, if you are looking to make any sort of change in your personal or work life, I highly recommend reading Switch before embarking on the journey. How much ignorance makes you blissful? The other day I was looking at a company’s informational brochure about the various programs and services they offer. It was 44 pages long. Seriously, forty-four pages! I understand that they want to cover everything and be able to offer something of interest to everyone, but honestly, 44 pages? The brochure went into the recycling bin before I’d gotten past the third page, losing the company a potential customer. They just offered me too much information. The situation reminded me of the books, The Paradox of Choice and Stumbling Upon Happiness, both of which discuss how too many choices make us unhappy. With unlimited choice comes unlimited indecision and increasing unhappiness. I’m not sure I agree with this idea. You see, I’ve always been a bit of a Goldilocks when it comes to information. Give me too little information and I feel that I’m being forced into something I don’t agree with. Give me too much information and I feel overwhelmed and paralyzed. But give me just enough information that I feel that I’m making an informed choice and away I go, happy with the decision I’ve made. What’s the key word there? 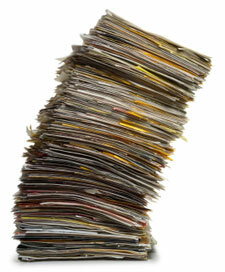 There’s no such thing as too much information or too little. There is just enough to make you feel right about the decision you are making. When it comes to politics, I know where my heart lies, so I need very little information to convince me that my favorite party is the one to vote for. However, when it comes to buying a house, there’s no end to the information that I collect before making the decision (neighborhood, taxes, possible renovation costs, neighbors, schools, and the list goes on and on). When it comes to organizing, the same scale exists. What is your personal comfort level of stuff in different situations? At work, I’m the king of processes, with everything carefully documented and labelled. At home, I’m happy owning only a few things and labelling nothing. In other words, don’t let anyone tell you what is the “right” amount of stuff or whether it’s well-organized or not. It all comes down to your level of bliss. What makes you happy? Ignorance? Information-saturation? In the comments section of our our post on dishwasher-safe products, there was an interesting debate on the merits of hand washing dishes. Some readers were surprised by the amount of thought and effort we seem to expend trying to avoid hand washing cookware. I am an advocate of technology in the service of simple living. There is physical clutter in our lives, and there is time clutter. Often, judicious use of technology can help us tame the latter. In fact, the Canterbury community in New Hampshire owned one of the first cars in the state. They also embraced the use of electricity long before their non-Shaker neighbors. Good technology has the capacity to simplify our lives and empower us. It reduces time clutter. The arrivals of the washing machine and the electric iron were landmark events in the history of women’s liberation. By reducing the amount of time women spent on chores, they increased the amount of time women could spend on other activities. By contrast, it’s easy to see that bad technology just gets in the way. We are seduced by the false promises of a food dehydrator. In the end, we are not only parted from our money, but we are left with a colony of unused unitaskers multiplying in the recesses of our kitchen cabinets. From the very beginning, you didn’t have a chance — by the time you bought the seemingly innocuous wannabe waffle-maker, the war was already lost. Simple living is about clearing away the obstacles in our lives, including the unwanted tasks. We can only do this if we are honest with ourselves about whether that labor-saving device really justifies the space it consumes. This post was originally published in May 2007. 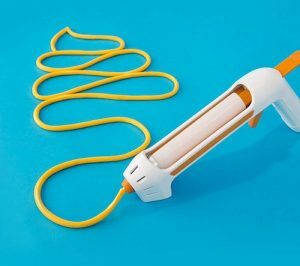 The Fondoodler is a “hot glue gun” – but for cheese. Alternatively, I could just sprinkle my favourite grated cheese on nachos, put them in the microwave for 10-15 seconds and get the same result much more quickly with much less work. Perhaps those of you who enjoy making crafts with a glue gun, can use cheese and make crafts out of food. Instead of a gingerbread house, you could make a cheese and cracker house. In the meantime, I’ll be over here in the corner enjoying my Brie and aged Cheddar. Thank you professional organizer Julie Bestry for bringing this device to our attention. Many people are overwhelmed by the idea of organizing their homes. When there is so much to do, it can be difficult to know where to begin. If you’re in such a state, let me suggest four ways you can get started. Hopefully one of the methods will be a perfect match for you! Start by organizing the area you first see in the morning. If your first activity is to walk into your closet to pick out your clothes, then choose to organize your closet. If you get coffee, organize your kitchen. If you hop into the shower, then tackle your bathroom. The idea is that the first thing you see in the morning can set your mood for the whole day, so you should at least start with a sense of calm and order. Start by organizing the area you first see when you come home after work. Your home should be an area of rejuvenation and relaxation. If the first thing you see when you get home from a long day at work makes you stressed out, then you’re doing yourself a disservice. Is there a mess in the driveway that could be cleared? Do you pull into your garage and curse because you can barely get out of your car? Is your home’s entrance in complete chaos? Whatever is the first place that causes you stress when you come home, start by clearing clutter there. Start with the area of your home that makes you seethe. Without putting too much thought into it, what is the one area of your home that you avoid because of its mess? Your instincts will quickly call to mind the one space that drives you nuts more than any other area of your home. Get started in that space to get the worst of the worst cleaned first. Start at the top and work your way down. In the same way that you dust before you sweep, tackle the areas up high in a room and then work your way toward the floor. Think of your work as if you’re completing an archeological dig. As you’re working, keep in mind that even the smallest steps help your space to be more organized than it was previously and that there is no reason to be overwhelmed by the task in front of you. Good luck with your organization endeavors! This post was originally published in May 2008. It all works pretty well, but it can be improved. This summer I want to make some changes to our “summer basket.” Let me know what you think. First, it is convenient that all of the items are in one place instead of spread all over the house. 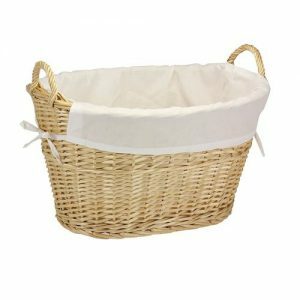 However, once you get a certain amount of stuff in the basket, finding what you want requires a bit of searching around. My solution for this problem takes inspiration from my hobby: board games. Many of the games I love come with a lot of components and little pieces, which I keep organized with foam core inserts. While you can buy fancy wooden ones like this one from Broken Token, I prefer to make my own out of foam core. For the summer basket, I think four large pieces will divide the contents into specific categories very nicely. Next, I want to make some “go bags,” one for each activity (beach, park, car, etc.). It will save time when departing — just grab the one bag that you need. I’m considering sorting go bags by child. That way, we won’t have to go on a hunt for our son’s swim mask or our daughter’s goggles, etc. But I’m not sold on that idea, sorting by activity might be most effective. Now I’ll ask you, dear readers. Do you have a similar setup in place and, if so, how do you keep it all sorted? Happy summer! Back in 2006 when I left Canada, I sold my house and thought I’d never buy another one again. The place had been a fixer-upper and my father and I had invested a lot of time and money into it (nine years to be exact) — just in time to sell it. I know that home-ownership is supposed to be the holy grail of the (North) American Dream, but I really wasn’t sure I wanted to ever get back into the cycle of renovations, repairs, and mortgages. It took a bit of an attitude change because as a simple search on Amazon suggests, mortgage-free home-ownership is what we are all supposed to aim for. But I knew couples who had been renting for over twenty years and they had more disposable income than I’d ever had. When something went wrong in their place, it was the building owners, not the renters, who had to pay for it. Renters also knew exactly how much they needed to pay every month without any sort of surprise costs like a new roof or plumbing repairs. Generations ago in Ireland, my father’s family were renters. Yes, they owned property, but they never lived where they owned. They used the extra income from renting out the place to rent something better for themselves. And while they had those emergency expenses that any homeowner had, they considered it as a part of running a business, rather than intruding on their lives directly. When I settled in the Basque Country, I was convinced that renting was for me. Although it irritated me a little bit that I couldn’t do up the place exactly as I would like, I was pleased to no longer have the temptation to enter into constant rounds of renovations like my parents did. They cycled through the house I grew up in, redoing one room a year, and I can’t count the number of times they completely remodeled the garden. When my parents died a few months apart from each other then eight months after that my mother-in-law passed away, my husband and I found ourselves with a chunk of money. Given the volatile nature of the markets at that moment, investing did not seem like a good plan. So, we got back into the home-ownership market, not just once but twice, buying a flat where we live full-time plus a second one in a sunny part of Spain. However, this second time around, owning a home is different from the first time. We chose to live in a tower instead of a detached home, meaning emergency expenses are shared by the whole building and in a recent case, spread out over three years. Our flat is half the size of the (small) house I had in Toronto, and is just the size we need. Renovations happened quickly, before we moved in. Mortgage payments are less than the monthly rent we were paying. The second flat we bought (mortgage-free) has a double purpose, one as a weekend and summer retreat, and the other as a retirement emergency fund in case one or both of us needs to go into a nursing/retirement home. While medical costs are covered here in Spain, there is a big difference between public and private retirement residences. With the money from selling off the second flat, we will be able to live out our final years in comfort. My siblings, however, took other routes: my sister invested in a large rambling country home and my brother sold his house and sunk the money into his girlfriend’s place, turning home-ownership into a type of romantic commitment. What type of financial situation do you want to be in? Fixed or variable costs? How important is it to you to put your personal stamp on the space you live in? How much space do you really need? How much do you want to maintain? The New York Times, has a good rent vs. buy calculator. I plugged in the original numbers for our primary residence and the results confirmed that buying was the right option financially, as we would be paying about three times the amount in rent each month as we do with the mortgage. Are you a renter or a homeowner? Do you know which is the better option for you financially? Or are there other factors (emotional, familial, etc…) that led you to choose? Hate matching up sock pairs while folding laundry? One way to save you time is to have all socks of the exact same color and style. Every so often (when most of your socks are worn out), throw away all of your white sports socks and replace them with six pairs of new, identical white sports socks. Be sure to alternate the style or brand between purges so if an old sock accidentally doesn’t get purged, you can identify it when it tries to sneak back in to your drawer. All of your socks will have the same amount of wear, they all will match, and it will save you time during folding. If you’re a man who works in an office, do the same with black and brown dress socks. Three styles are faster to sort than 18 pairs of different styles. For your children with similar sized feet, you could buy a dozen pairs of the same sock and split them between the kids. Alternatively, you could buy each child a different brand/style/color of sock. For example, your daughter could have white socks, and your son could have white and grey socks. Our family has subscribed to this process for many years and we love the simplicity it brings to our laundry days.